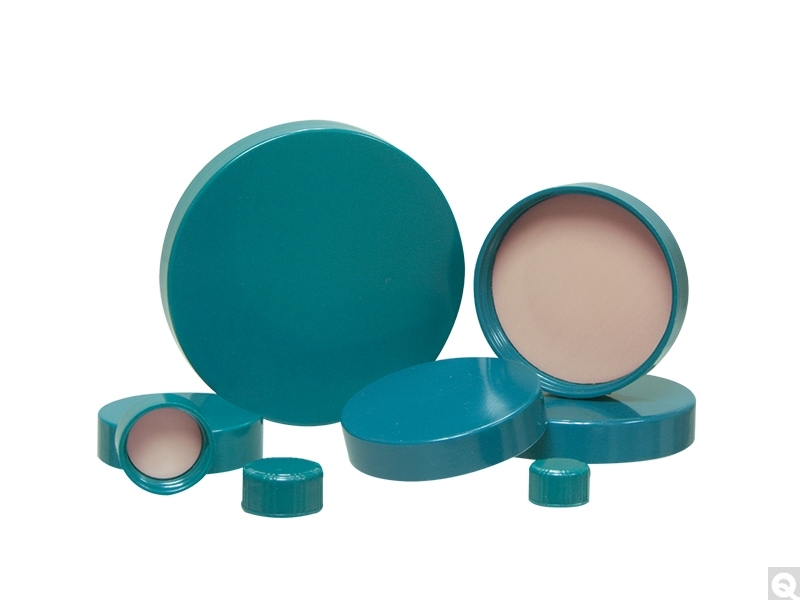 Green Thermoset Plastic Caps with F-217 PTFE Liners are known for providing the widest range of chemical compatibility and for being the most temperature tolerant of plastic closures. The color green easily identifies the PTFE liner system. F-217 foam-backed PTFE liners resist attack from virtually all chemicals at room temperature and provides odor and impact resilience for a tight seal with a low moisture transmission rate. F-217 has a low density foam core between two solid layers of LDPE (low density polyethylene). Some uses for these F-217/PTFE lined caps include analytical lab samples, high purity chemicals, strong acids solvents, environmental samples, pharmaceuticals, and diagnostic reagents. Available in 425 GPI thread finish for narrow bottle caps and 400 finish for a wide range of diameters to fit your bottles or jars.